I had a great time taking Chris and Misty's engagement photos. We met up on a very hot and humid St. Louis summer day at Busch Stadium. 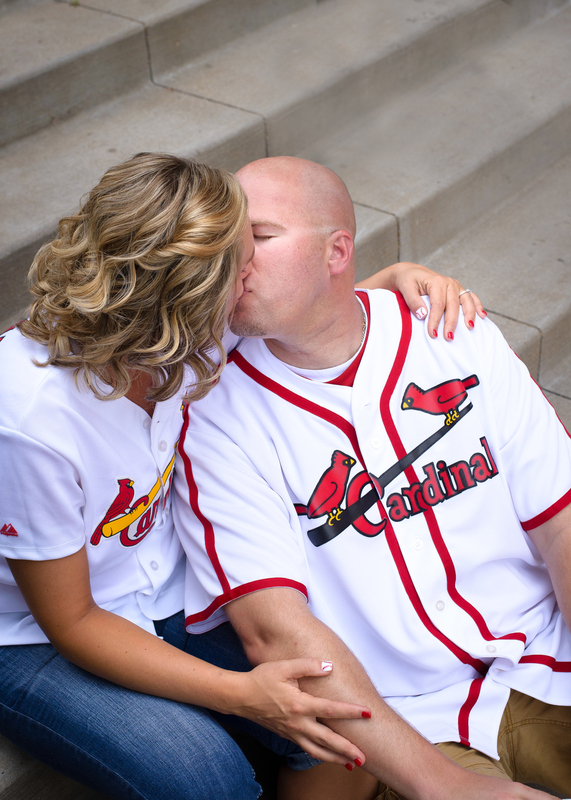 Now if you know Chris and Misty it is no surprise that we were going to take photos around Busch Stadium. After about an hour at Ball Park Village and walking around the stadium we decided to make our way to the Botanical Gardens. Now when I said hot earlier I meant HOTTT! Even with temperatures in the 100's plus heat index, Misty and Chris bared the heat and got some of my favorite engagement photos so far. Here are a few pictures from our session. Hope you enjoy!